Some people think there’s a line, and if everybody stays on their side of the line, then we’ll all get along just fine. That’s what Billy’s da told him, back before he joined up in the Great War. Da said that sometimes, to do what’s right, you gotta cross that line. Course, that was before the war ended and Billy’s da came home with shell shock. Now it’s up to Billy to be man of the house, to take care of his ma and sisters and work at the docks when he can. He ain’t no coward, and he don’t complain, not even when money troubles mean he has to change schools. It’s hard times for all the Irish—maybe even for all of Chicago. And it gets harder when Billy becomes friends with Foster, a black boy who loves baseball and whose daddy went to war, too. What seems like just horsing around to them—building a raft, spending time in their secret hideout by the creek—stirs up trouble when the rest of the city gets wind of it. Soon, the boys’ friendship has triggered a series of events that will change both their lives forever. 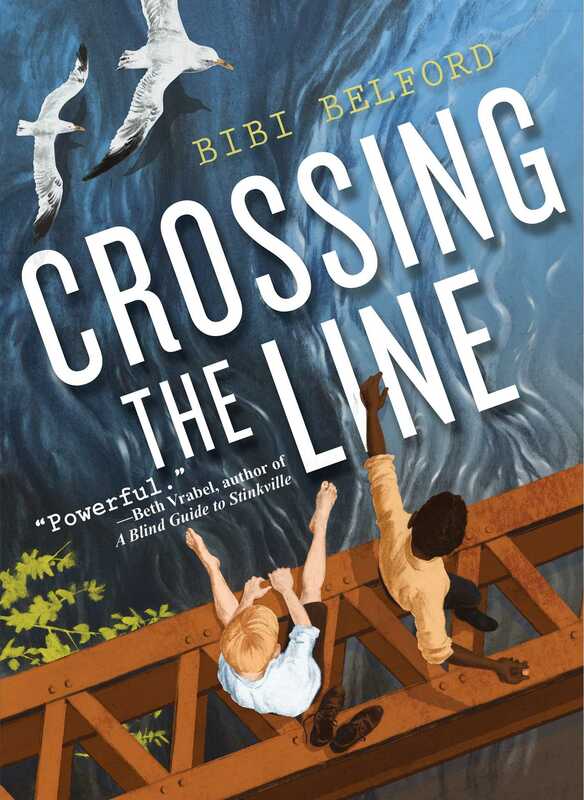 And with racial tensions in the city coming to a head, Billy must decide once and for all what it means to be courageous, to be a friend, and to truly cross the line.